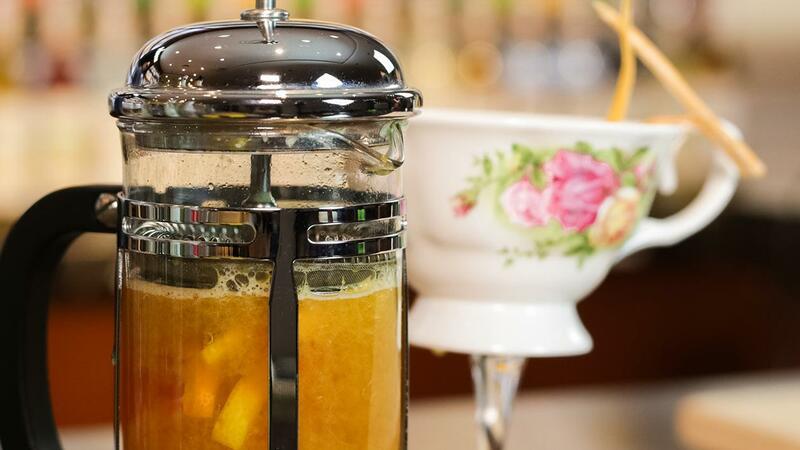 Combine 100ml of pre-brewed tea, 15ml of diluted Knorr Lime Powder and other ingredients in a milk pitcher. Strain and serve liquid in glass. Garnish the edge of glass with orange and grapefruit slices.